LOUD CLEAR SOUND. BUILT FOR WORK. 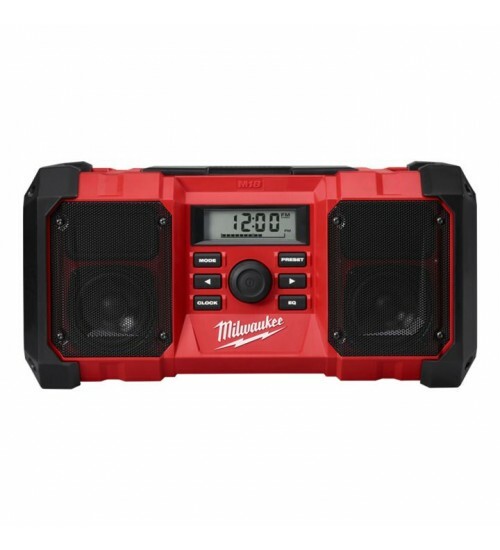 Featuring a high-performance audio system and rugged design, the M18™ Jobsite Radio is built to amplify and survive the jobsite. Dual speakers and passive radiators combine to produce sharp highs, rich mids, and deep bass at all volumes. Durable metal speaker grills and shock absorbing end caps protect from drops and other harmful jobsite conditions while integrated handles allow for easy transport and storage. Listening options include a digital processor with best-in-class reception and signal clarity or a 3.5mm aux jack for wired playback. 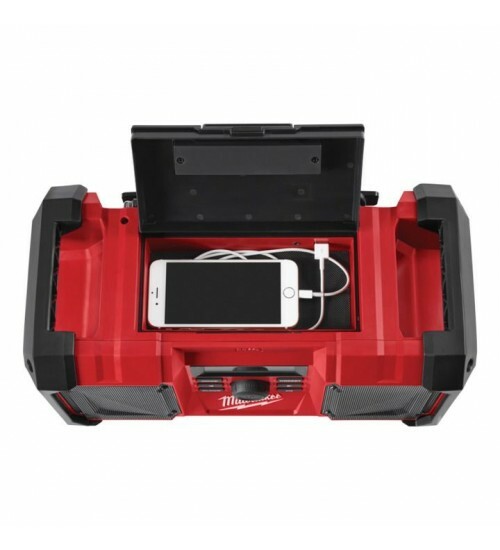 A weather-sealed auxiliary compartment protects devices and houses a 2.1A USB charging port. 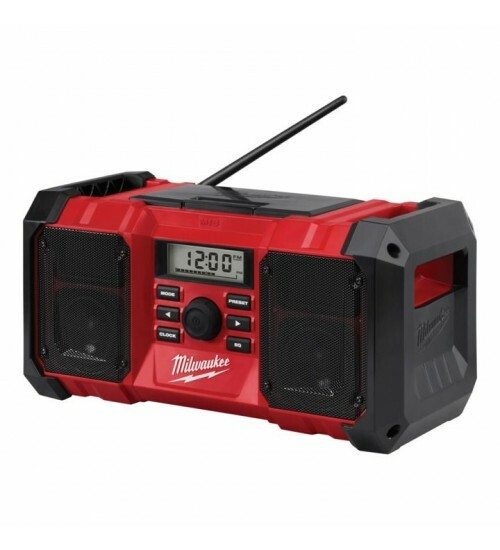 The M18™ Jobsite Radio is powered by all M18™ REDLITHIUM™ Batteries or A/C power. 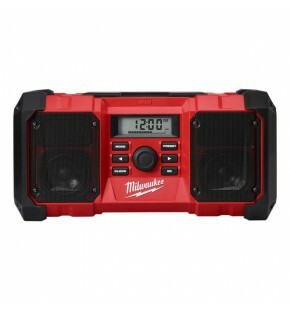 High Performance Audio System with dual speakers and passive radiators delivers loud, clear sound with deep accurate bass Durable, portable, stackable design features shock absorbing end caps and metal speaker grills that protect from drops and other harmful jobsite conditions.